Born in 1973 in San Marino, Italy, Nicoletta Ceccoli attended the Institute of Art in Urbino where she studied animation. 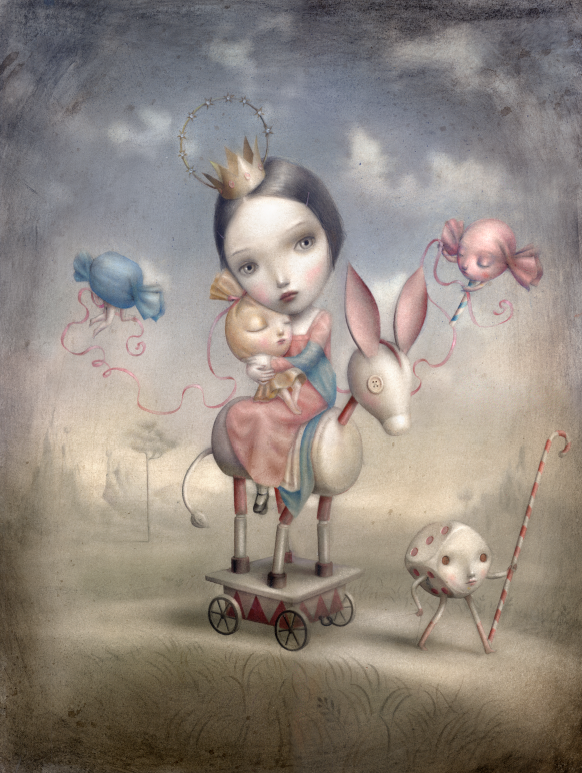 Also an illustrator of children’s books, Ceccoli got her start while still a student. She was selected to exhibit her work at the Bologna Children’s Book Fair Show. This led to more work from American and international publishers. 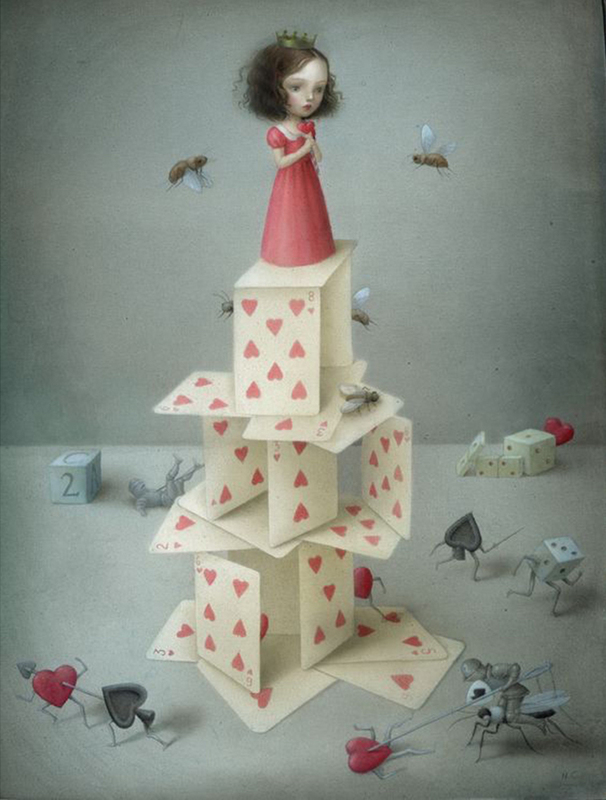 Ceccoli is a master of compositional harmony who explores more emotionally complex themes in her fine art – predominantly innocence and sexuality and love and loss. 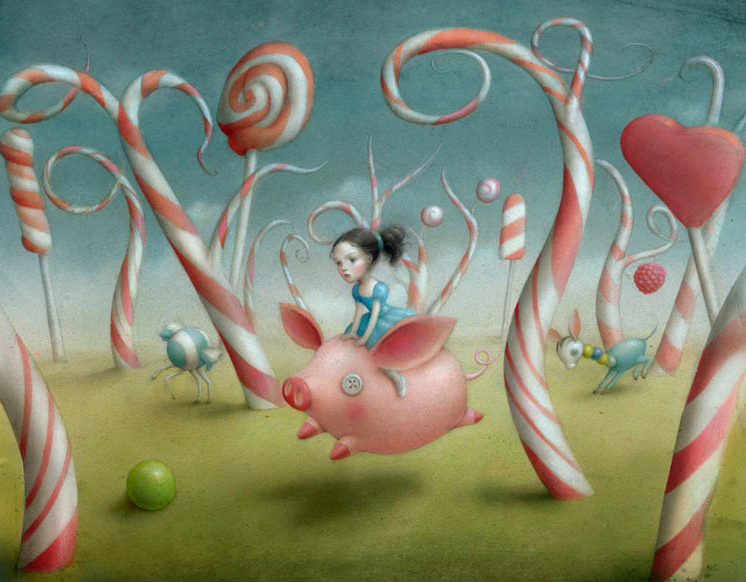 Ceccoli has described her work as attempting to “offer a delectable balance of repulsive and attractive. What is beautiful, sweet, and chaste hides often dark suggestions.” The dolls featured in Ceccoli’s work represent beauty, innocence, and perfection juxtaposed against emotional turmoil, darkness, and helplessness. 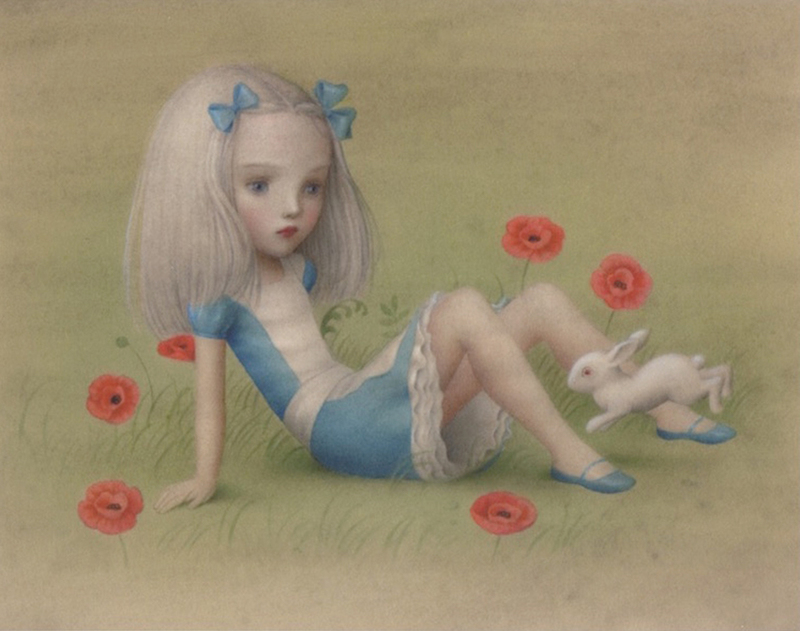 "Nicoletta Ceccoli is a master of compositional harmony. Through her artistic explorations of love and loss, the Artist illuminates the dark and damaged, rendering them sublime. Soft, endearing colors speak to the subconscious, granting clarity and validation to conflicting emotions. 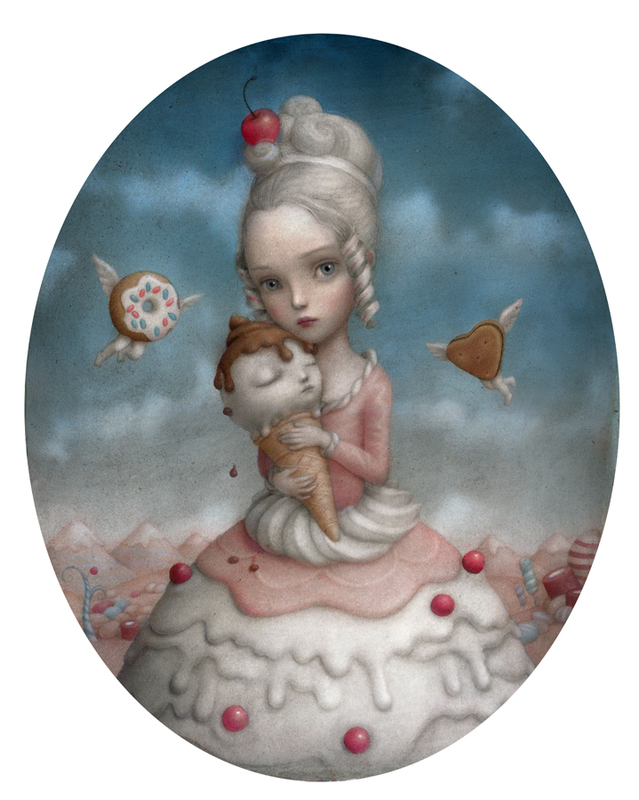 Ceccoli’s work manifests a universe wherein everything that is beautiful is wounded. With soft starkness, she highlights the brutality and muddled nature of the transition of girlhood to womanhood. The Artist’s 'Lovely Lolitas' are femme fatales who seduce through veils of chastity. The pure and innocent color pallet subtly masks desire, repulsion and perversion. Layers of dark symbolism and complexity are presented like a magnificent butterfly collection; exquisite subjects on display to the world, complacently pinned in place by life’s cold truths. Hopes of being saved are overwhelmed by the ease of being controlled. Beneath the alluring imagery, disturbing feelings are intricately examined with a tenderness and beauty that both entices and saddens the viewer. 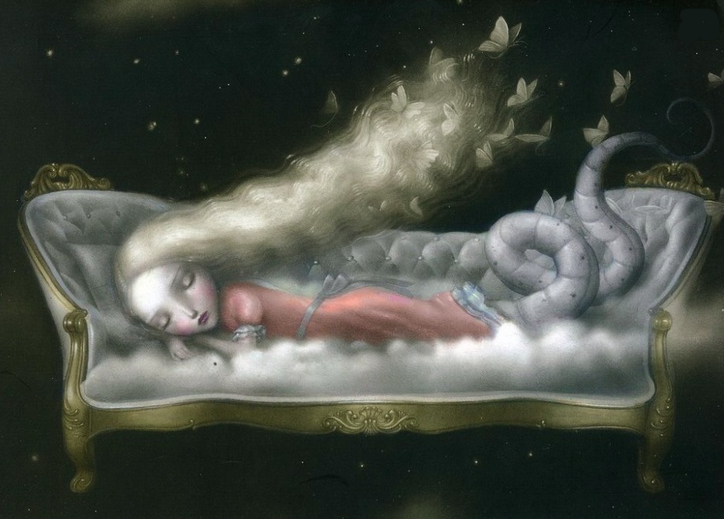 Nicoletta Ceccoli paints a thorough and provocative Beautiful Nightmare in which responsibility withers and expectations remain unfulfilled. The broken pieces of Humpty Dumpty will never be put back together again. Ceccoli’s most recent work explores the myriad, elaborate challenges of relationships; the walls of fear and emotional barricades which are built upon foundations of desire."